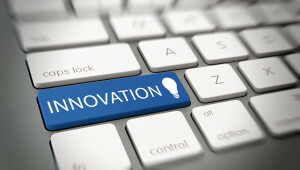 Home » News » Policy Changes: Driving Innovation or a Reaction to Trends? Policy Changes: Driving Innovation or a Reaction to Trends? Using the medical technology (medtech) industry as an example, we pose the question: do policy changes fuel innovation, or are they merely a reaction to emerging trends? Over the last three decades, medical technologies have transformed many previously untreatable diseases into manageable long-term conditions. However, as the global disease burden evolves there is a continuing need to develop new and more effective medicines. As a result, companies operating at the intersection of technology and medical science are attracting increasing attention as the digital revolution that has reshaped sectors, such as retail and banking, begins to revolutionise healthcare. Accordingly, the Australian government has recently launched the National Innovation and Science Agenda which aims to cultivate Australia’s newest economic pillar: Technology and Innovation. In the words of Chief Scientist Alan Finkle, “the more we know – thanks to science – the more we can achieve through innovation.” But are these policy changes (wanted as they are) fuelling this shift, or are they just reactive in the face of an emerging trend? At present, the medtech industry is already a burgeoning area of growth in Australia. Every year, around 1000 new clinical trials commence in Australia, capturing a $1 billion dollar investment. Furthermore, in 2014 alone more than 19,000 people were employed in Australia’s medtech industry. In fact, the country actually outpaces the United States in terms of medtech sales per capita: $10.2 billion from 2012 to 2013 for its 23 million people, while U.S. revenue was approximately $110 billion in 2015 for a population of 319 million. Moreover, Medical Technology Association of Australia (MTAA) notes that 40% of Australia’s medtech companies did not exist prior 2000. MTAA attributes the success of this relatively young industry to the combination of an educated population, strong academic institutions, a favourable regulatory and R&D environment, and government support. 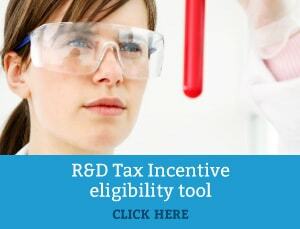 In specific, Australia offers are a generous R&D tax incentive, which entails a 43.5% refundable tax offset to firms generating less than $20 million in annual revenue and a non-refundable 38.5% tax offset to other companies. Ultimately, academic research, government support, and the availability of R&D funding have created an innovative medtech ecosystem in Australia. Under those circumstances, the National Innovation and Science Agenda, indeed, might not be driving the shift from resources boom to technology boom. However, it is a fair attempt at adapting to the technology changes underway in our society. As exemplified in Australia’s opulent medtech industry, the success is already becoming apparent. Thus, provided further recognition and support is given to the growing Australian tech industry, it will no doubt continue to expand and attract more bright young Australians into the industry.